Is it Spring yet? 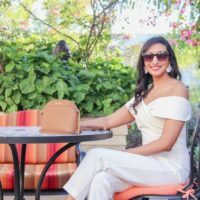 It certainly doesn’t seem that way but I’ve been shopping with warmer weather in mind and just had to share one of my fave pieces for Spring 2018! 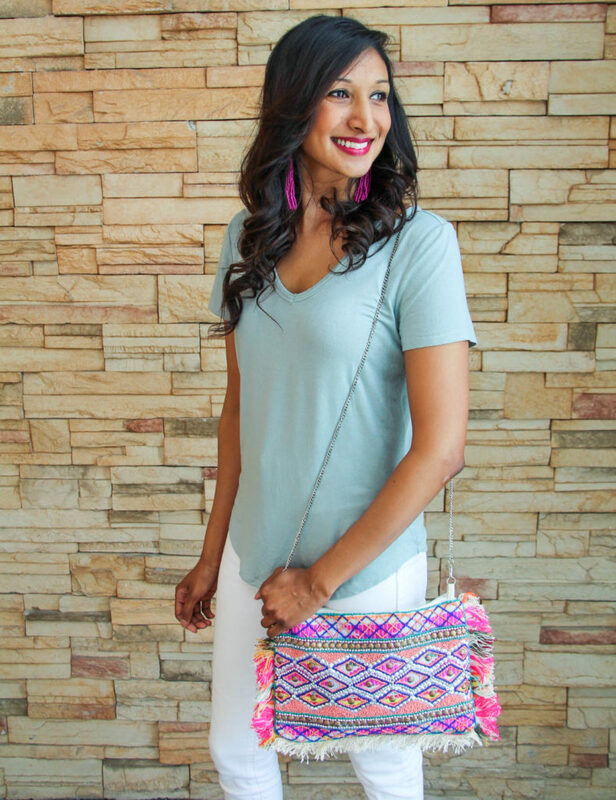 I picked up this bright and colourful beaded boho bag at a market in Dubai and I think it’s just perfect for Spring and Summer. If you’re new to my blog you can read all about my Dubai adventures in my Dubai Diairies series. 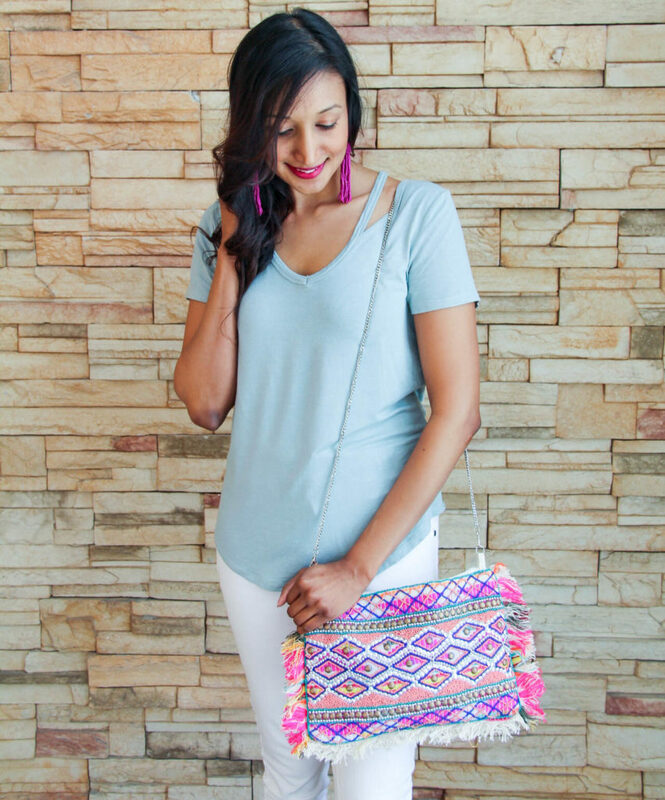 I’ve noticed that the boho chic trend is totally in this Spring and this bag fits the bill perfectly. I love how the bright beading adds a pop of colour to my outfit. 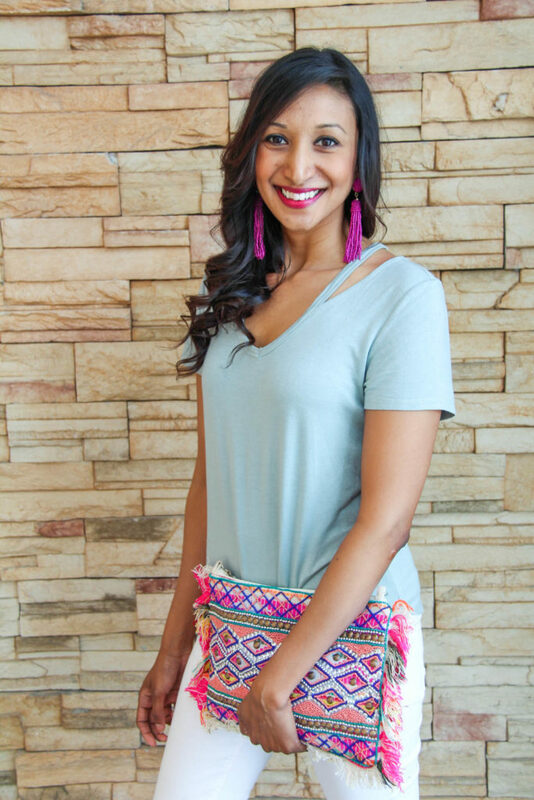 The bag comes with a removable strap which allows for it to be worn as a shoulder bag, a cross body or a clutch. 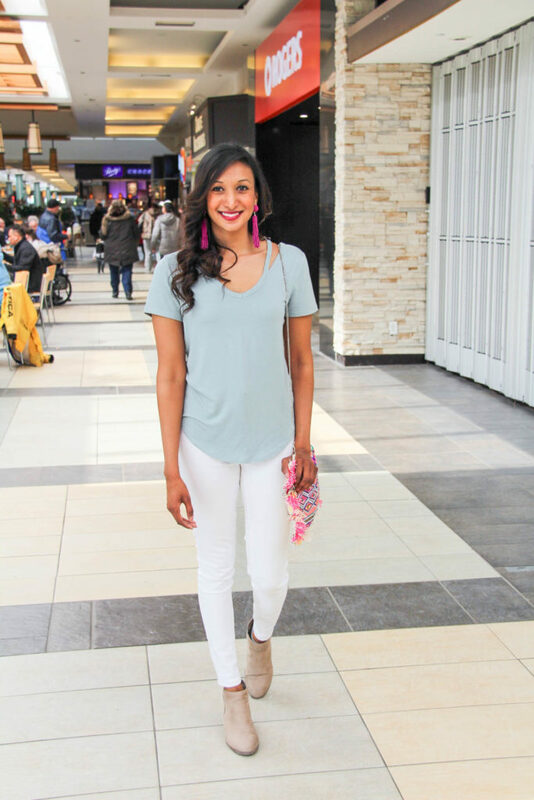 I opted for a more casual weekend look and paired the bag with white jeans and a soft sage coloured t-shirt. I liked the bold colours int he bag and I wanted to reflect that in my jewelry so I added a pair of purple beaded earrings which I picked up at H&M. Not only are these earring so in right now but the beading in the earrings goes perfectly with the beading on the bag.